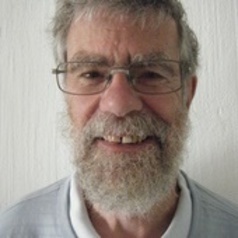 Roger Southall is an Emeritus Professor in Sociology at the University of the Witwatersrand. He was previously Distinguished Research Fellow at the Human Sciences Research Council (2001-2007) and Professor of Political Studies at Rhodes University (1989-2001). Prior to that he worked in universities in Uganda, Lesotho, Canada and the UK. He is author of South Africa's Transkei: The Political Economy of an 'Independent' Bantustan (1983), Imperialism or Solidarity? International Labour and South African Trade Unions (1995), Liberation Movements in Power: Party and State in Southern Affrica (2013) and The New Black Middle Class in South Africa (2016). He has also published extensively on African politics, political economy and labour in leading academic journals, as well as contributing chapters to numerous books. He receives research funding from the National Research Foundation.